Besides the royal palaces and magnificent architectures, the streets of Rajasthan’s Pink City, Jaipur would delight you with its versatility when it comes to the varieties of sweets and savories it offers. Though you may spot your favorite delicacy in every nook and owner, Raja Park, Tripolia Bazaar, and Johri Bazaar are regarded as the popular street food hubs. 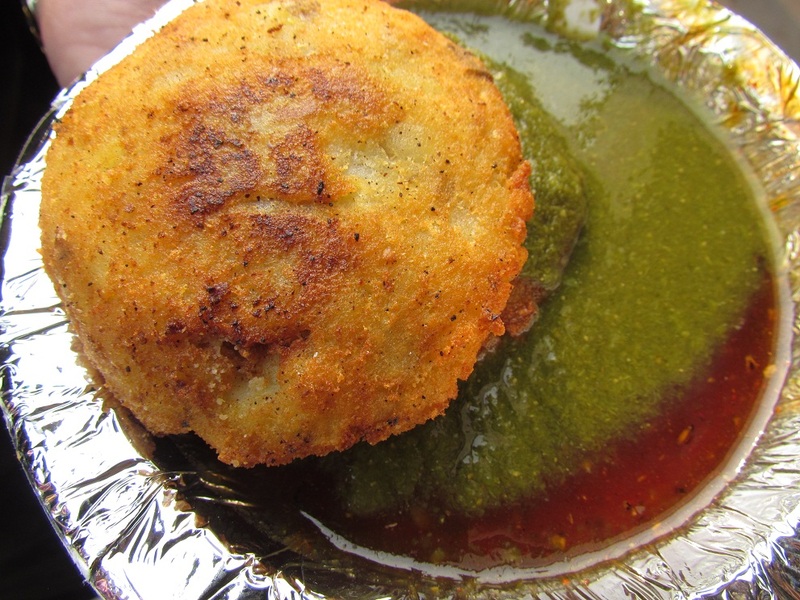 Read on to know the top street foods from the city of Jaipur. 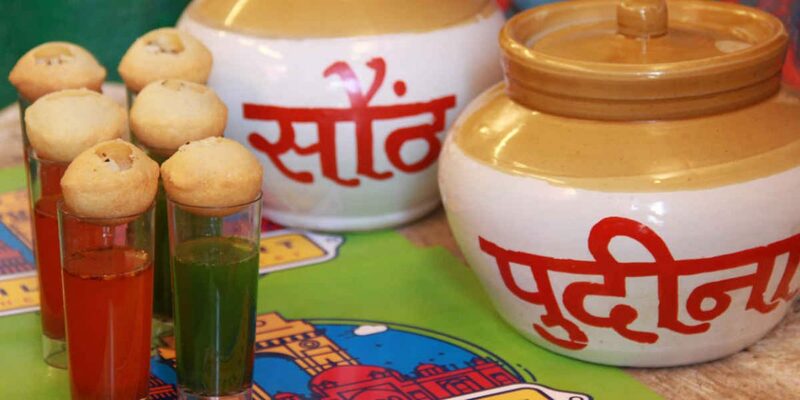 A traditional Jaipur snack, pyaaz (onion) kachori, filled with onions and mashed potatoes, eaten with a sweet and sour tamarind dip, is one of the most sought-after items often preferred for an evening snack. Though, a famous street food of Mumbai, Jaipur is by no means lagging behind when it comes to serving this spicy dish of lip-smacking vegetable curry seasoned with a dollop of butter, teamed with soft buns, chopped onions and a slice of lemon as an accompaniment. 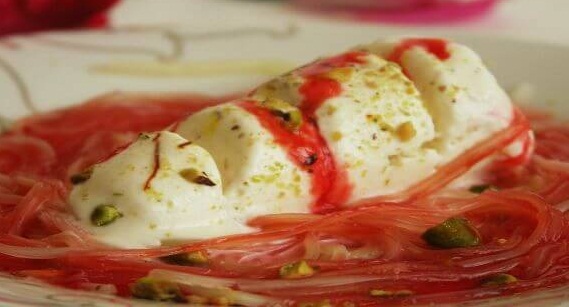 The streets of Jaipur are famous for falooda kulfi which comprises of an ice cream (kulfi) served with vermicelli noodles, garnished with pistachio, almond and other dry fruits. 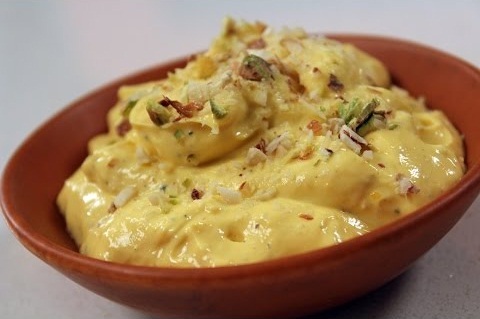 Though typical of Gujarat and Maharashtra, Jaipur also excels in the best varieties of shrikhand, which is prepared from strained yogurt, topped with dry fruits and nuts, served warm or chilled. 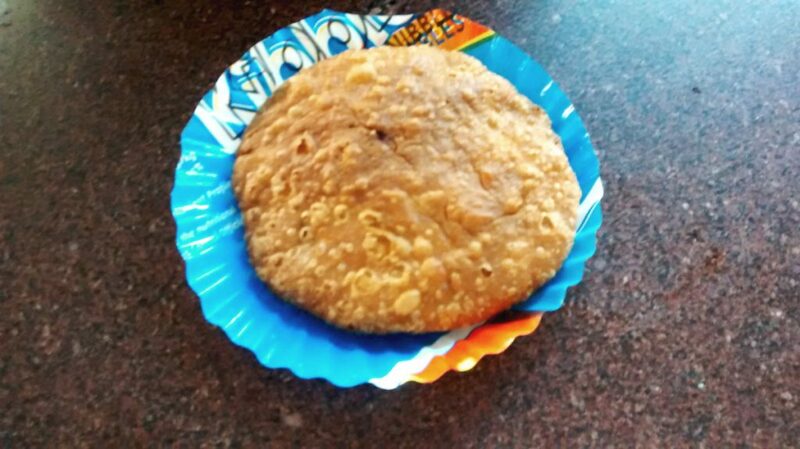 Pani ke patashe, fulki, or phuchka, no matter what name you call it by, you would find these tangy, crispy balls in every part of the country, but with different filling, and manner of serving. Stuffed with chickpeas and potatoes, the USP of Jaipur’s gol gappas lie in the various flavors of water they may be dipped in, like garlic, tamarind, mint, and cumin. Fashion Street (Raja Park); Nand chat Bhandar (Raja Park); Manoj’s Patashi (Bapu Nagar); Lalaji ke Patashi (opposite Sargusuli in Tripolia Bazaar); Chatkara phuchka (Malviya Nagar), an ideal place for hygiene conscious people as the vendors wear gloves while serving phuchkas with purified water being used for the sweet and sour dip. 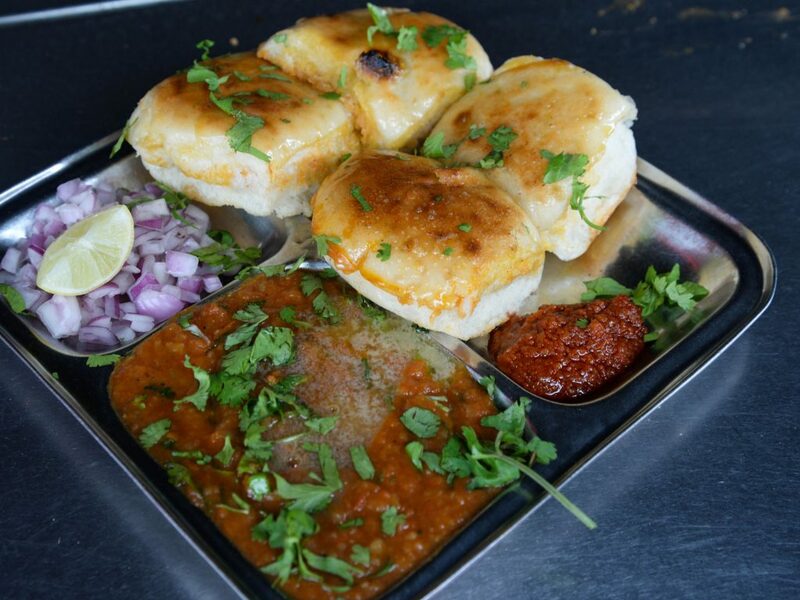 Jaipur is just unbeatable when it comes to the array of chaats (savory snacks) it has to offer; like gol gappa, aloo tikki is one such lip-smacking street food made from mashed potatoes, and eaten with a sweet and tangy dip. 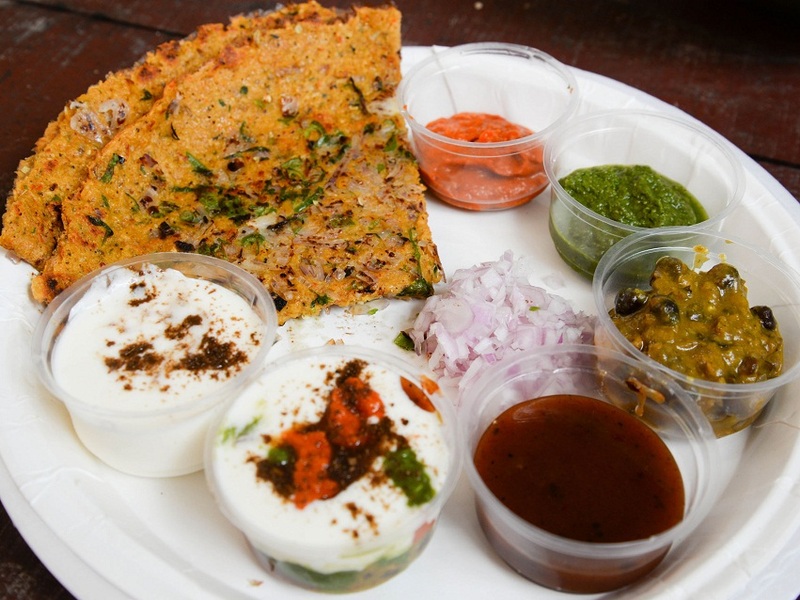 An authentic street food item from Rajasthan, cheela is a crispy pancake prepared from lentil and chickpea flour, eaten with spicy dips and curd. 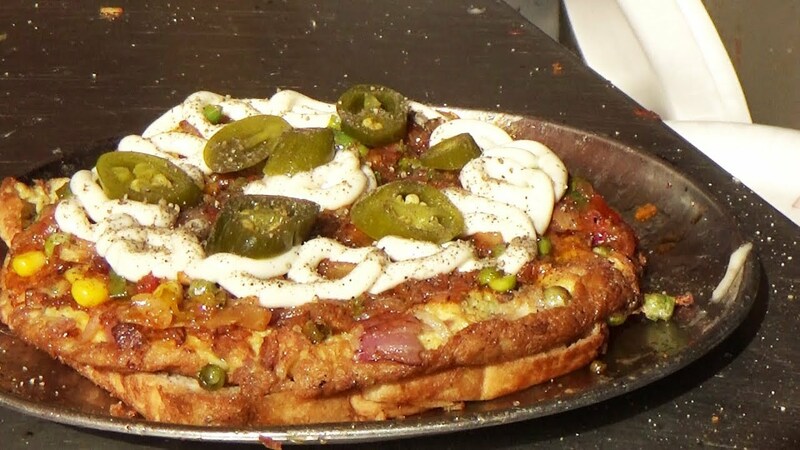 There may be nothing special about an omelet, but when you get varieties of innovative egg dishes under one roof, that too in a city like Jaipur that is mostly famed for its vegetarian cuisines, then it is definitely worth trying. 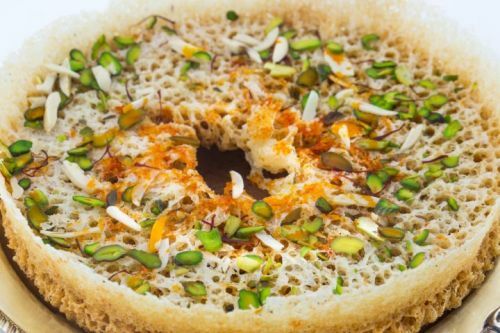 Prepared with flour, soaked in sugary syrup and garnished with pistachio, saffron, almonds and cardamom, ghevar is a popular dessert from Jaipur, mostly eaten during religious festivals like Teej, Sankranti and Gangaur. 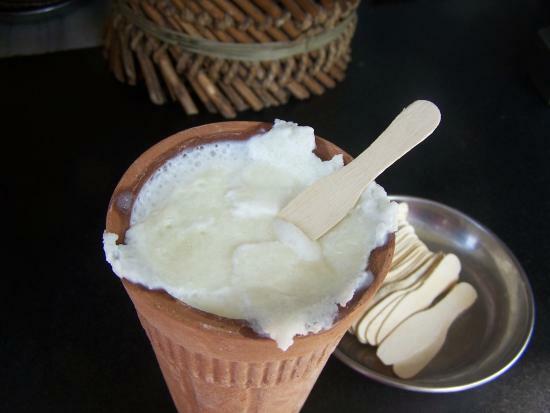 The hot, sultry summers of the city would indeed demand for chilled beverages, and none can be more apt than lassi, a yogurt-based drink topped with a thick coating of cream. They may be sweet or salty, served plain or even flavored with rose syrup, cumin, and cardamom. 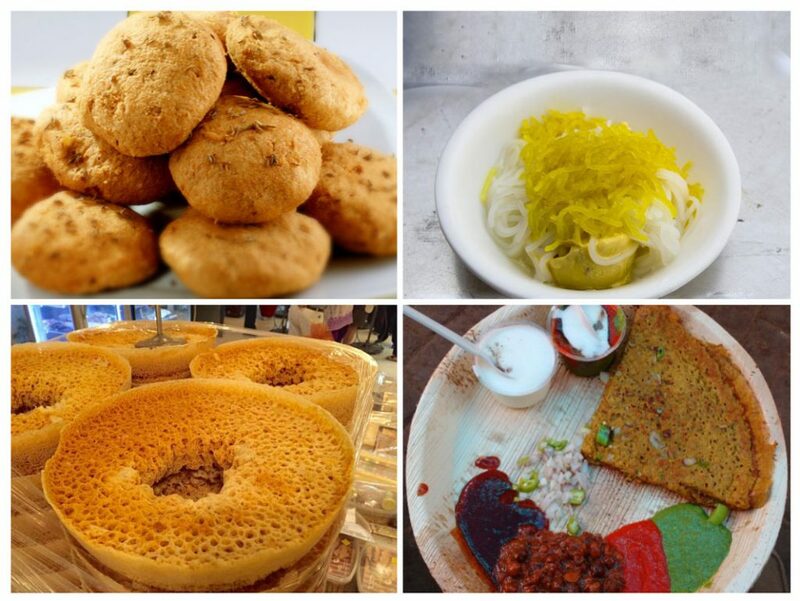 Apart from these, masala chai (flavored tea), sabudana kichdi (tapioca pearl porridge), dahi vada (fried flour balls soaked in yogurt), chana batura (soft flat bread and chick pea curry) – the list of foods found in the streets of Jaipur is indeed endless, all being worth trying, no matter if you are an admirer of vegetarian food or not.